T Shirt: Gap. Cardigan: ATM, Saks. Joggers: James Perse. Sneakers: Golden Goose. Hosting Thanksgiving dinner? 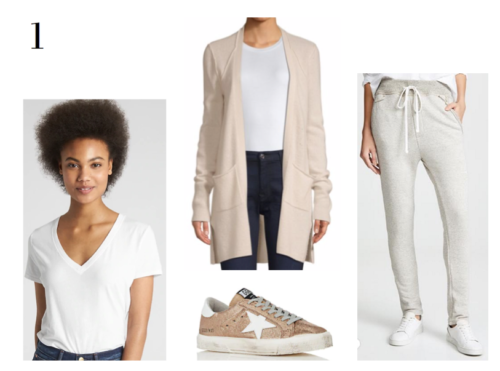 This look is perfect for a casual night in… without sacrificing comfort for chicness. Sweatpants+turkey=Heaven. Dress: Vince, Shopbop. Scarf: Rowe. Hat: Linda Richards, Ladybird. Boots: Frye. For those heading to a family member’s or friend’s house this turkey day, we love this effortless ensemble. This sweater dress exudes comfort, is flattering, and goes perfectly paired with one of our favorite prints of the season–leopard! Add a sleek boot and pom hat and you’re festivity-ready! Gucci Sweatshirt: Net-a-Porter. Denim: Madewell, Nordstrom. Boots: Isabel Marant, Net-a-Porter. Coat: All Saints, Bloomingdales. 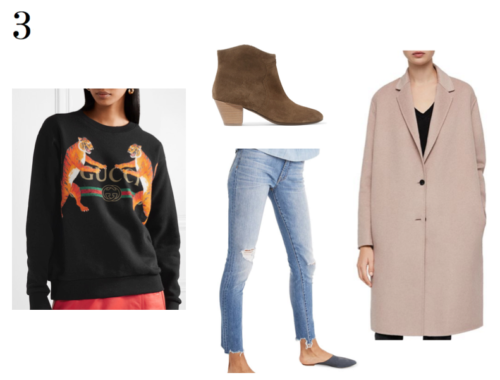 Look chic, feel cozy in a Gucci (or Levi’s, Hilfiger, Champion, and Nike) sweatshirt. Add ripped denim, a bootie, and topcoat to pull your look together. Strong, casual, chic. 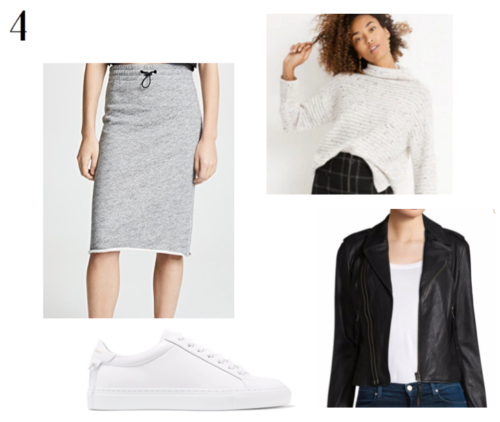 Sweat skirt: Rag & Bone, Shopbop. Sweater: Madewell. Leather Jacket: Joie, Saks. Sneaker: Givenchy, Net-a-Porter. 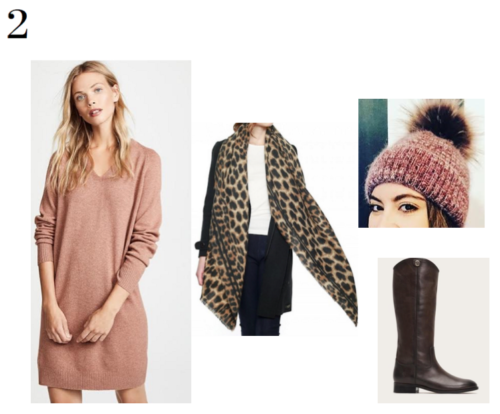 A great look for out and about, or staying home! We paired a turtleneck sweater with a sweat skirt and topped it with a leather jacket for effortlessly cool/sporty chic.